Dr Jewitt describes how there is an 'armada' of in-falling dust and other debris from the Kuiper Belt created by the continuous risk of collisions among the literally trillions of objects which make up the Kuiper Belt. This interplanetary dust has been detected by various spacecraft, and extends deeply back through the planetary zone of the solar system. 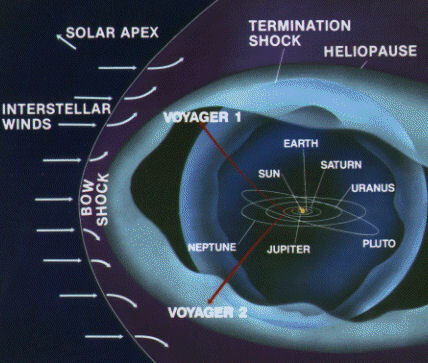 That said, the Kuiper Belt lies well within the heliosphere. It is what is going on beyond which is of keen interest. My contention, as well as that of Paul LaViolette before me, is that beyond the heliopause such depletion by radiation forces does not take place, leaving an extant sheath of dust. I am arguing, further, that this sheath is gradually swept up by planetary bodies lying beyond the heliopause to create dust disks around them, and that this sheath of interstellar dust is periodically rejuvenated when the solar system moves through areas of relatively dense dust clouds interspersed throughout the galaxy. If that's the case for a debris dust disk thought to exist in the Kuiper Belt, then it most assuredly applies to any extensive dust disk lying beyond the heliosphere, which is located about twice the distance away. Simply put, if such a sheath of dust exists beyond the heliopause, then the comparatively bright foreground light of the interplanetary dust in the inner solar system is effectively preventing its detection. Only a spacecraft moving beyond the heliopause with dust-detecting equipment will know for sure. "Astronomers call the cloud we're running into now the Local Interstellar Cloud or "Local Fluff" for short. It's about 30 light years wide and contains a wispy mixture of hydrogen and helium atoms at a temperature of 6000 C. The existential mystery of the Fluff has to do with its surroundings. About 10 million years ago, a cluster of supernovas exploded nearby, creating a giant bubble of million-degree gas. The Fluff is completely surrounded by this high-pressure supernova exhaust and should be crushed or dispersed by it. Perhaps the issue here is more to do with the perceived density of this cloud, at least at a very local level. The zones beyond the heliosphere may be awash with interstellar clouds; even flowing rivers of interstellar plasma. But what about denser, heavier materials? What about larger grained material which is not ionised into plasmas? 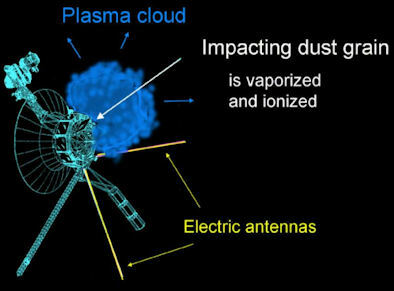 An anomalously high level of large dust grains has been observed by the Ulysses, Cassini and Galileo satellites, which moves with the ISM flow towards the inner solar system. This effect has yet to be satisfactorily explained, and implies that there is an unexpected source for these particles beyond the heliosphere (12). Calculations, based upon certain assumptions, indicate a possible source ranged some 500 AU away (13), well beyond the heliosheath zone. Astrophysicists interested in debris disks in the outer solar system have done modelling on whether dust can clump together at the distance of the Kuiper Belt. They have found from their calculations that dust which falls into a resonant orbit with Neptune can indeed clump, forming larger particles of debris matter which can statistically withstand the opposing mechanisms of collisional cascades (14). (Such collisional cascades are thought to account for an observed dust cloud surrounding a presumed giant exoplanet lying in the extensive debris disk orbiting the star Formalhaut (15)). In other words, dust in the Kuiper Belt can, under certain conditions, begin to accrete - at least hypothetically, anyway. Such a mechanism has not been detected directly, for the same reasons described above - interplanetary Zodiacal dust blinds us to more subtle effects beyond, in the same way street lighting impedes stargazing. What's important here is the shepherding influence of a major nearby planet which, in the case of the Kuiper Belt, is Neptune. So, one would assume that a similar catalyst would be required beyond the heliopause. One requires the influence, then, of a Planet Nine (16), Planet X or Dark Star object. Such a mechanism may explain the anomalous influx of materials from beyond the heliopause, and provide an on-going process of planet-building in interstellar space. 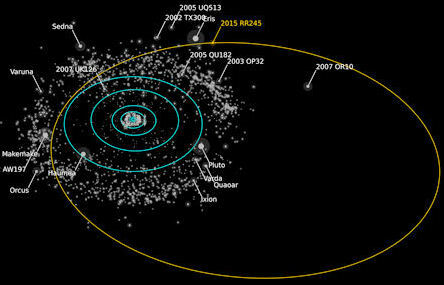 The family of extended scattered disk objects beyond the classical Kuiper Belt just keeps getting bigger. The latest addition to this population of objects is a fairly substantial dwarf planet 700km across, currently referred to by the moniker 2015 RR245 (1). Its elliptical orbit is not absolutely defined as yet, but the best estimates give it an aphelion distance of about 120 Astronomical Units, and a closest approach to the Sun of about 34 AU (2). The Minor Planet Center describes the object as the 18th largest in the Kuiper Belt, but it is not yet clear what its surface features might include. 2015 RR245 takes approximately 700 years to orbit the Sun. 2015 RR245 was discovered by National Research Council of Canada’s Dr J.J. Kavelaars while studying images taken by Canada–France–Hawaii Telescope in Hawaii in September 2015 . Does this object fit in with Mike Brown's analysis of the cluster of 6 (now 7) Sednoid objects which he argues (along with his dynamicist colleague Konstantin Batygin) point to the existence of a substantial planet beyond the Kuiper Belt (3)? Given the vague data regarding the orbit of 2015 RR245, it is perhaps too early to say. But other scientists are already citing the on-going discoveries of distant objects like 2015 RR245 as reasons to be cautious. In an informative on-line article, more nuanced than its title suggests, astrophysicist Ethan Siegel notes that the pattern of discovery of objects within and beyond the Kuiper Belt is subject to an observational bias favouring the closest objects. This means that the unknown populations of objects yet to be discovered may eventually statistically overwhelm the small populations of extended scattered disk objects and Sednoids already discovered. This, he argues, could bring Brown and Batygin's analysis of the cluster into question. 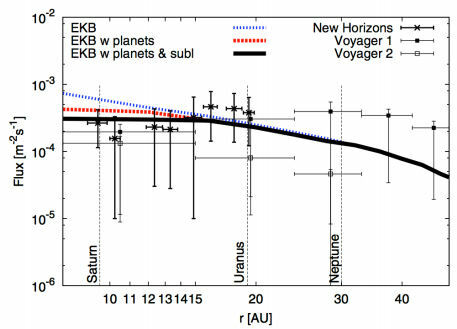 It does seem, though, that each new object discovered beyond the Edgeworth-Kuiper Belt is going to generate this kind of debate: Does its presence help, hinder, or utterly fail to impact upon the potential existence of Planet Nine? Again, this implies that the statistical criticism employed by Ethan Siegel is wide of the mark. It is what is going on in the specific clustering of anomalous objects that is crucial, not any buffering effect attributed to the broader populations around them - even those populations which remain undiscovered. And I'll bet that those more distant undiscovered populations are even more irregular still than the Sednoids. Does Planet Nine Solve the Riddle of the Sun's Obliquity? The sizeable tilt of the proposed Planet Nine body could explain other unexplained features of the solar system as well as the observed clustering of extended scattered disk object beyond the Kuiper Belt. The Caltech astrophysics team who introduced the world to Planet Nine in January (1) think it may also explain the Sun's six degree tilt with respect to the plane of the ecliptic (2). In addition, the presence of a distant, sizeable Planet X object, whose closest approach to the Sun is argued to be 250 Astronomical Units away (3), could be affecting the tilt of the entire planetary system orbiting the Sun. Over very long time periods, the computer simulations independently deployed by both team shows that Planet Nine might generate the observed solar system anomalies naturally. 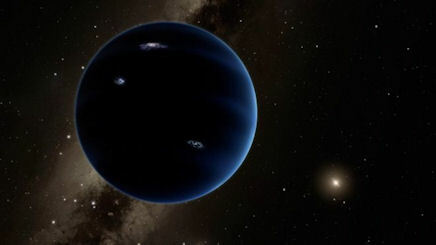 Significantly, this would imply that Planet Nine would have to have taken its place within the ranks of the planets quite early on in the lifetime of the solar system. 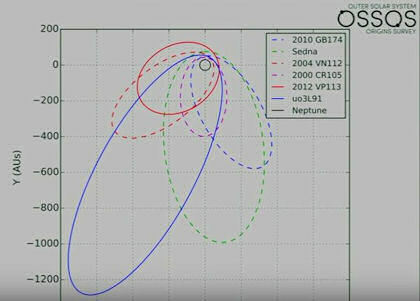 This, in turn, implies that its orbit is a stable feature of the solar system, rather than the result of a relatively recent capture of an exoplanet. Of course, this is all conjecture based in turn upon hypothesis. It should be pointed out that there are other possible explanations for the tilt of the rotational axis of the Sun, and the relative obliquity of the Sun's equatorial plane compared to the invariant plane of the ecliptic (2). But the existence of a Planet X object at a high inclination could readily explain these effects, as well as the anomalies of the extended scattered disk beyond the Edgeworth-Kuiper Belt. New computer-simulations of atmospheres around exoplanets close to red dwarf stars show that an 'air-conditioning' system could enable conditions for life, even when those planets are 'tidally locked' (1). Astronomers from the Netherlands were following up on previous work last year which examined various scenarios to do with air-currents moving around tidally-locked exoplanets, and the transfer of heat from the permanently lit side to the permanently dark side of these 'moons' (2,3). Essentially, then, these processes potentially create an air-conditioning system which serves to moderate temperatures across the planet. This kind of modelling is important because it shows that life might exist in the short 'Goldilocks zones' around dwarf stars. Planets contained within these zones are necessarily located close to the red and brown dwarf stars themselves, and are likely subject to the same forces which have made our Moon tidally-locked, such that only one face of the Moon is ever seen from the Earth (this is because the Moon spins at the same rate as it rotates around the Earth). If, as is likely over long time periods, similar exoplanets become tidally locked around their nearby parent stars, then only one side of these planets will ever benefit from the warmth and light these dwarf stars provide. This could create extreme temperatures on the light and dark sides, but a dynamic atmospheric system would serve to shift heat around, moderating these extremes. However, the issue of tidal-locking may not be that much of an issue, even for the most closely-bound exoplanets orbiting dwarf stars. Last year, work published by a team from Canada considered whether the presence of an atmosphere around an inner exoplanet would itself prevent tidal-locking from taking hold (5). If the atmosphere of the exoplanet is sufficiently thick, then solar heating drives winds that redistribute the mass of the atmosphere. Such an effect is known to drive Venus into a retrograde rotation, for instance (6). This effect may be sufficient to off-set the forces that lead to tidal-locking, allowing inner exoplanets to maintain a day/night system. A 4.5-5.2 micrometer spectrum of the nearby 5Mj sub-brown dwarf WISE 0855 has allowed astronomers to verify the existence of water in its atmosphere (1). Indeed, they have discovered that the atmosphere of this very cold brown dwarf 'star' bears a great similarity to that of the gas giant Jupiter. Among the findings is increasingly strong evidence for the existence of clouds of water, or water ice, in its atmosphere (2), adding to previous similar findings (3). Water ice? This really is a cold 'star', whose frosty atmosphere exhibits sub-zero temperatures thought to range between −48 and −13 °C, similar to that of our North Pole. 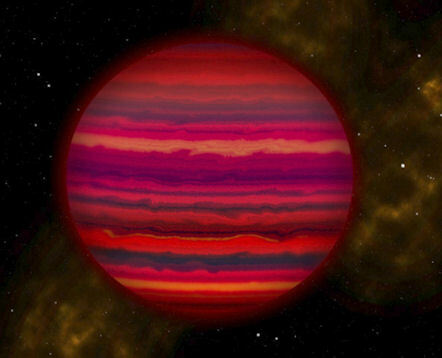 These are the first water/water ice clouds detected outside our solar system, and occur in a cold brown dwarf whose colouring is, rather counter-intuitively for such a cold object, remarkably red (5). 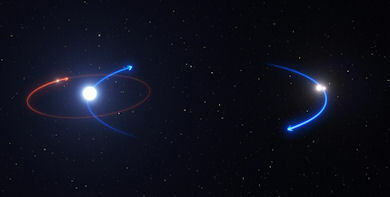 A young 'Dark Star', weighing in at 4 Jupiter masses, is one of only a few such exoplanets to have been directly imaged. It's also a rather curious object for another reason: It's orbiting the main star of a triple star system some 340 light years away, in a dynamical arrangement which lies on the very edge of mathematical possibility (1). HD131399ab is just 16 million years old, and could be classified as an ultra cool sub-brown dwarf rather than a Jovian class gas giant. At this youthful age its temperature is about 600 degrees Celsius, allowing it to be directly imaged in infra-red by SPHERE operated by the European Southern Observatory. The triple star system is indeed curious. The two minor stars (B and C) orbit the main star A at a distance of about 300 Astronomical Units, all the time twirling around each other at approximately Saturn's distance from the Sun. The newly discovered exoplanet, HD131399ab, also orbits around the main star A in a wide orbit "about twice as large as Pluto's if compared to our solar system, and brings the planet to about one-third of the separation of the stars [B & C] themselves." (2). The massive planet's orbit around its parent star is by far the widest known orbit within a multi-star system. According to the University of Arizona team's calculations, this set-up is barely stable over the long-term, and could very easily result in the ejection of HD131399ab if any of the system's variables were to alter. Future data should firm up a more accurate model of this star system (2), and perhaps provide some insight into how this unusual configuration arose in the first place. It's certainly difficult to explain how such a massive planet, of four Jupiter masses, has found itself located twice the distance from its parent star than Pluto is from the Sun at such an early point in its lifetime. The paper's authors think it is likely that it initially formed closer to its parent star, and then migrated outwards. It has managed to achieve a distance which is as close to getting flung out of the system as one could reach before HD131399ab becomes a free-floating interstellar sub-brown dwarf (1). The authors seem torn between thinking this is a migrating system on the verge of ejection of the massive planet, or just possibly the tip of an iceberg of exotic planet-forming possibilities in outer solar system environments. Either way, this quirky system indicates how complex wide orbit arrangements can become. As a mental experiment, imagine a similar scenario in our own solar system where a highly distant binary Dark Star lives alongside a quite separate wide orbit Planet X object. One might then begin to see a picture emerging of a really quite complex outer solar system configuration - one that might align with recent calculations attempting to reconcile the complex perturbing effects of the proposed Planet Nine (4,5).